Skateboard helmets are a must for your safety and buying the best of them can be tricky. Many models and producers of skateboarding helmets suit different buyers’ needs. But what counts is getting one that will protect you or your child during the fun times of skateboarding. 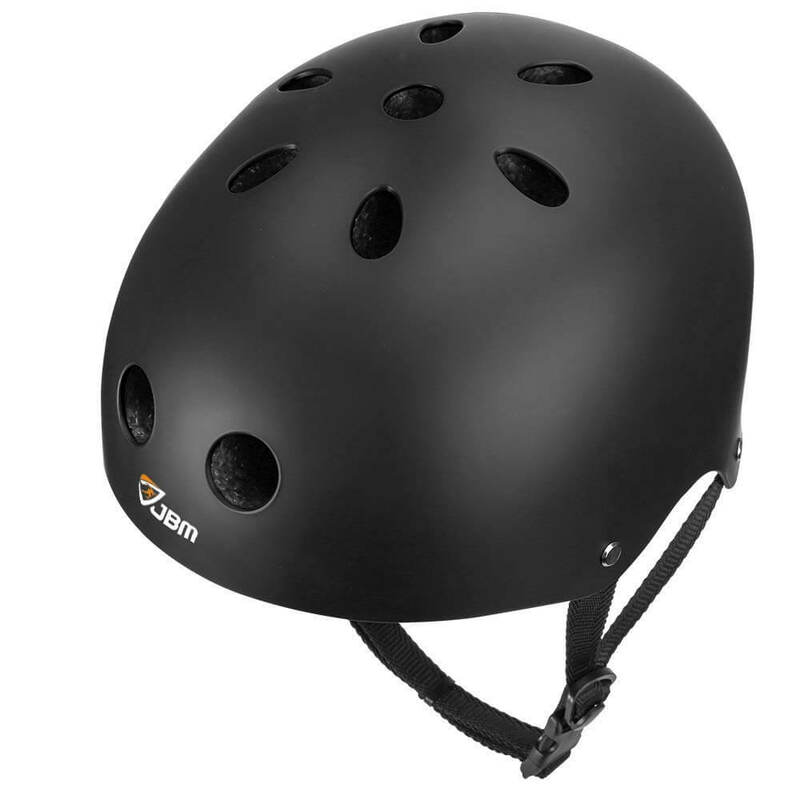 Such helmets are even better for beginners who can have frequent accidents during skateboarding such as kids. Learning to manage a skateboard is as fun as it can be dangerous if you don’t have the right equipment. Here are the best skateboard helmets that will ease your task when you want to purchase one! When you are shopping for best skateboarding helmets, there are many factors to be considered. The age and experience of the wearer are important. Some helmets are more suitable for children rather than adults. Keep in mind that you can find the ones with adjustable straps if you are not sure about the size. The budget you have will determine the range of helmets you want to look at. For beginner users, you don’t have to invest in the most expensive ones. You can try out the budget-friendly ones first and then decide if you want to go more professional. Whatever is your budget; there are skateboard helmets for everyone! It is important to know if you will use the helmet for only skateboarding or more sports like biking. There are different styles of helmets for different sports, and you can get one that suits a variety of them. Establish such intentions before purchasing a helmet as they are built in different ways. They also come with different levels of safety. The protection level has to be the one that you need. Some users prefer the helmets that protect the entire head including the face and chin. However, others prefer only the ones made to protect the head and leave the face open. Usually, the ones that provide more protection are also more expensive. If you are a casual skateboarder, you might not need such an investment. But if you are a professional, complete protection is better! 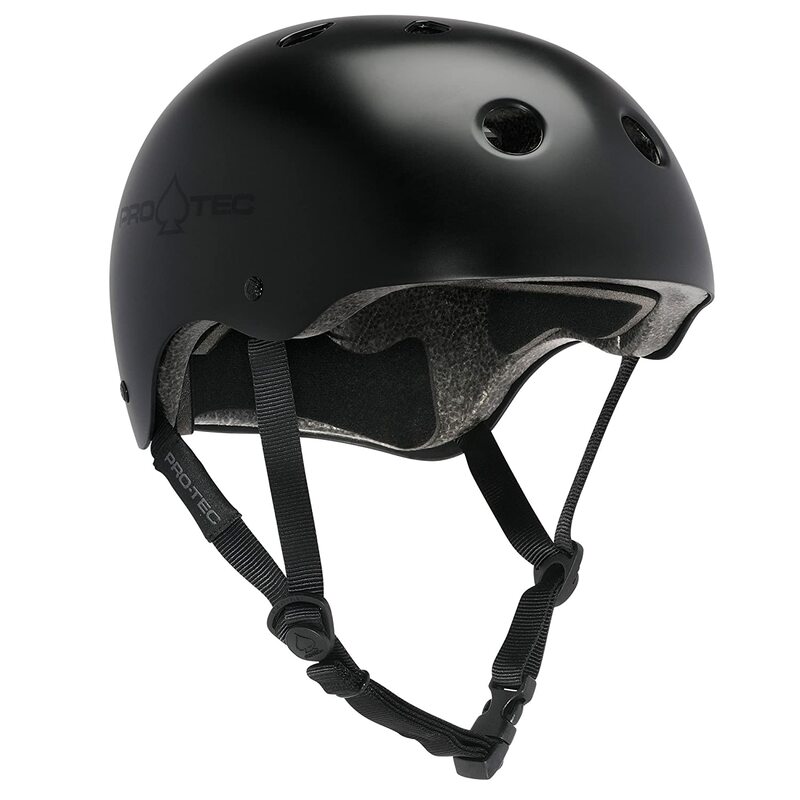 PRO-TEC is a popular brand when it comes to the best skateboard helmets. It has over 40 years of history, and it is known for providing great safety to its users. The PRO-TEC Classic Helmet is made with a high impact resistance. It will make you enjoy skateboarding for years to come and feel confident when your kids practice it. But this helmet also resisted the different trends, and it is a very fashionable item, besides being a functional one. Its most important features range from the safety degree and it offers to its pleasant design and style. With a high impact ABS Shell, your kids will always be protected! This helmet has an EPS Foam Liner and a Nylex Lamination interior. It provides the user with 11 open vents that make it pleasant to wear. 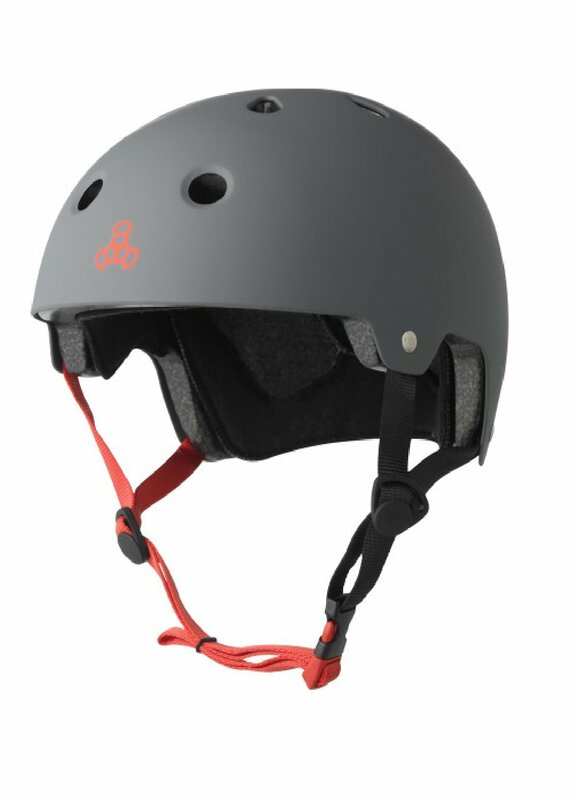 The Dri-Lex Wrapped Hard-to-Soft Foam Transition makes it a comfortable helmet for any age. Triple Eight Helmet is a great helmet for a comfortable and safe skateboarding session. It is a very pleasant helmet to wear and has a high impact resistance which makes it extremely popular. The manufacturer has a wide experience in skateboard equipment, and it is benefits of a lot of trusts. For years, this is considered to be one of the best skateboard helmets on the market. A most appreciated feature of this helmet is the sweat saver liner that is built in it. It has a nice design and can be achieved in a variety of colors according to your taste. 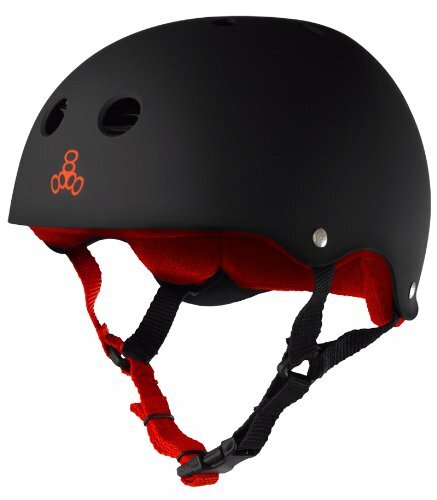 The Triple Eight helmet has adjustable straps which makes it very flexible to wear by different users. However, it is intended to be used for skateboarding, rollerblading, roller derby and scooters but not bicycle rides. It is equally appreciated by beginner and expert users and can resist over time to several impacts. This helmet is a great skateboard helmet and comes with a variety of features. It is known for being a safe asset for your skateboard equipment. Punisher Pro has a good reputation among its clients and enjoys a lot of good reviews. Besides the high safety level of it, this helmet comes in a nice design as well. It provides a great comfort to the wearer and has a long lifespan compared to other similar products. Its style is popular among young wearers and adult ones equally. 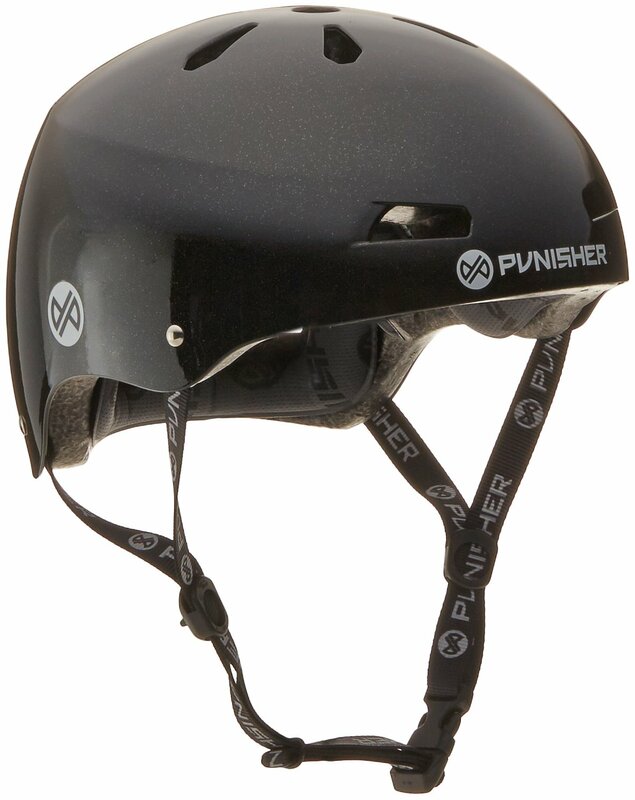 Among its appreciated features, Punisher Pro is a dual safety standard certified helmet. It makes it suitable for both skateboarding and bicycle ride. It has 13 vent air cooling vents and an ABS protective shell. The helmet can be achieved in a variety of colors and styles which makes it suitable for many users. It has straps that can be adjusted to different sizes as well. This Triple Eight helmet is considered one of the best skateboarding helmets but even more than that. It can be suitable for biking, inline skating, roller skating, longboarding and a variety of other similar sports. It is a dual certified helmet with CE EN 1078 and AS/NXS 206 as well. Triple Eight is a well-known brand when it comes to skateboarding equipment, and it is specialized on quality helmets. Among its best features, we can count the high-density ABS outer shell. The Polystyrene liner and Triple Eight customized logo rivets are a nice addition as well. The helmet is standard and can resist to high impact. It makes it perfect for kids and beginner skateboarders. It has the weight of 1 pound which makes it easy to wear for all ages and very flexible. JBM produces some of the best skate helmets for years now, and this is one of them. It has a good impact resistance which makes it highly appreciated by beginner and expert users equally. The ventilation is high quality as well, and it is very comfortable during usage. Adult users prefer this helmet to other similar products for its quality features and design. The helmet comes in different colors and one year warranty. Its adjustable straps make it very flexible and easy to use by many wearers. This is an item that is suitable for a variety of sports such as biking, skateboarding, mountain biking and even races. Another great feature is the lightweight which makes it not only easy to wear but also easy to carry around. It is a great helmet to start with before investing in more expensive. However, many expert users feel safe and comfortable wearing it, and you might be one of them! Skateboard helmets are not only popular but also very functional nowadays. It is important to be aware of all their characteristics before you rely on them. You can find best skateboard helmets for affordable prices and high quality. So, there is no need to invest a lot of money to keep you or your kid’s safe during skateboarding. But a good research will always help you make the best decision. Whatever is your preference, having a helmet can save your life so never enjoy a skateboarding session with such equipment!